SHELBURNE — Summer music venues have had their share of difficulties in Vermont. Mountain resort locations suffered from lengthy traffic jams. Indoor settings had no air conditioning and could be insufferably hot. Festival shows took over towns, leaving trails in their wake. As it turns out, one excellent solution was right in our back yard. The Shelburne Museum played host to the second of four concerts produced by Higher Ground on Sunday night as Tracy Chapman performed before a virtually sold-out crowd of nearly 3,000. A natural amphitheater has been laid out on the hillside closest to the main entrance, offering a grand view of rolling green hills and the Adirondacks in the distance. There seem to be three factors in the success of the venue: crowds of manageable size (ticket sales are cut off at 3,000), acoustically driven performers and relatively high ticket prices that apparently have been deemed acceptable by the public. With tickets averaging $45 (the few tickets left at the gate were $50), the box office delivered more than $130,000 in gross income Sunday night. Opening act Joseph Arthur had been hyped as “a discovery of Peter Gabriel.”He played a curious and entirely too long set. Arthur’s lyrics drifted from personal salvation to world politics, and his mournful moaning reached eardrum-splitting levels. The crowd was more than ready for Chapman, who received a heroic embrace as she took the stage at 7:45 p.m. Introducing the title track from her new album “Let it Rain,” she warned everyone that she could not be held responsible for the outcome. Sure enough, the rain began to fall not long thereafter. Thankfully, it was light and bearable. 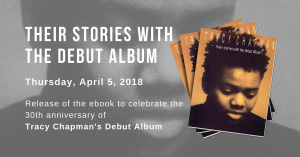 Chapman rolled back the years to her debut album, playing “Talkin ’bout a Revolution,” “Baby Can I Hold You,” “For My Lover,” “If Not Now” and her blockbuster hit “Fast Car.” Her voice is deep and exceedingly rich, remniscent of Joan Armatrading. Instrumentally, Chapman’s music can feel overly deliberate — but her songs ascend in concert. “Fly Away” took up a reggae beat, and “You’re the One” finally brought things to a point where dancing dominated the front rows of the audience. “Give Me One Reason,” often characterized as a “comeback hit,” drew an immediate roar from the crowd. After finishing the standard version, Chapman stepped on the accelerator and led a rocking jam at about three times normal speed. The audience took her line “give me one reason to stay here, and I’ll turn right back around” seriously as they made noise for several minutes and were awarded with a two-song encore. Elvis Presley would have appreciated Chapman’s rollicking version of “Hound Dog.” And who could argue with Bob Marley’s “Get Up, Stand Up” as a closer? Even with a steady rain falling, nothing could dampen the rousing conclusion of this concert. Since it was a show on an album release tour, I figured I wouldn’t know many songs, but to my delight (and that of the whole crowd), she played all the old standards. Like I said: a most excellent show, and a very good time was had by all.